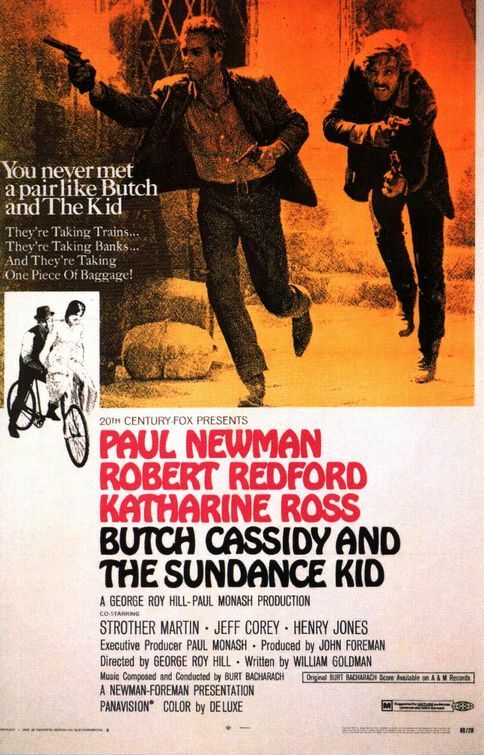 George Roy Hill’s Butch Cassidy and the Sundance Kid is a disarmingly likeable film, and possibly the greatest buddy movie ever. Butch and Sundance are part of the notorious Hole in the Wall Gang, but are forced to go on the run after a botched train robbery. With an unshakeable posse on their tail, they head for South America to start afresh as Bolivian bandits. Butch and Sundance are the perfect pairing. Butch is a charismatic, smooth-talking, sharp-minded leader. Sundance is cool, quiet and deadly. Paul Newman and Robert Redford (who would again team up with Hill in 1973 for The Sting) give the film genuine star power, while William Goldman’s Oscar-winning screenplay gives it its charm, humour and intelligence. The final freeze frame is one of the iconic shots in American film. 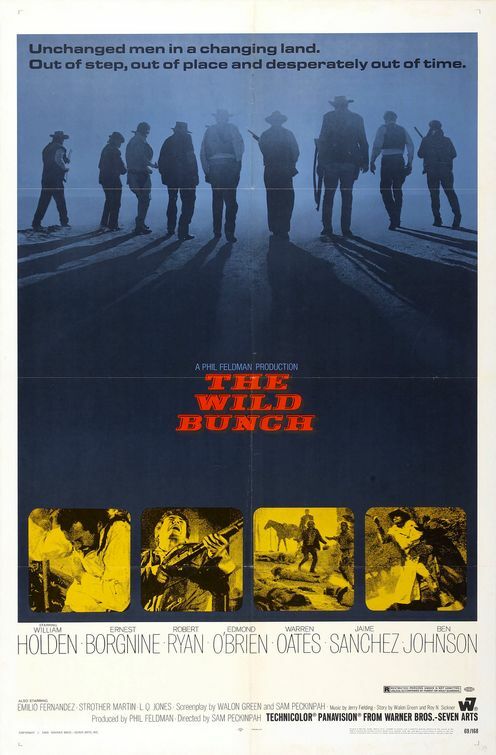 In addition to Butch Cassidy and the Sundance Kid, 1969 saw the release of another film about the Hole in the Wall Gang, Sam Peckinpah’s The Wild Bunch, and they could hardly have been more different. The Wild Bunch is a key film in the history of screen violence. Changes to American film censorship regulations in 1968, with a move from the all-encompassing Production Code to a ratings system, allowed for greater representations of violence on screen and Peckinpah took full advantage. The film is a masterpiece of excess and spectacle, with approximately 90,000 rounds of blanks fired in the production. The film’s final shootout is truly something to behold. But rather than spectacle for spectacle’s sake, violence penetrates this film at a thematic level. The Wild Bunch is a film about violence, about the passing on of violence from one generation to the next, as demonstrated through the evolving roll of children throughout the narrative. Little Big Man is a comic Western saga which continued director Arthur Penn’s engagement with the strong counter-culture movement of the time. It tells the life story of 121 year old Jack Crabb, played by Dustin Hoffman. Having been captured by the Cheyenne as a child, Crabb spends his life jumping back and forth between living as a native American and as a frontiersman, and thus experiences both sides of a very transformative period in America’s history. 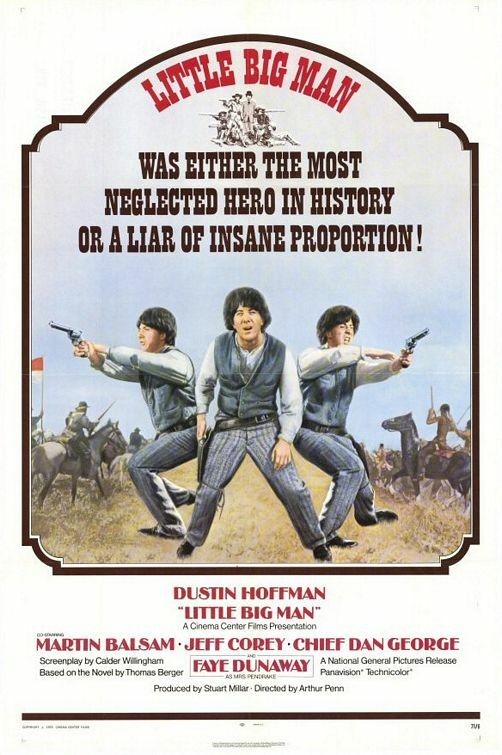 Little Big Man provides a debunking of the classical Western myth, portraying the pacification of the West as an act of genocide. The Cheyenne people are shown to be a kind and peaceful people, and Penn’s dramatization of an attack on their camp by Custer’s Cavalry is an obvious commentary on the Vietnam War at a time before Hollywood films were ready to openly discuss the conflict. Throughout the 1970s and 1980s, the lowest point for the Western as a film genre, it was Clint Eastwood who almost single-handedly kept it alive. Unforgiven is both a love letter and farewell from actor-director Clint Eastwood to the genre that made him a star. Set in the 1880s, when the days of the frontier were fading and a new world was rising, William Munny is of the old world. A retired gunman and a widower with two children, he is coaxed to pick up his gun once more by his old friend Ned to go after a bounty put up by a group of prostitutes in the town of Big Whiskey. 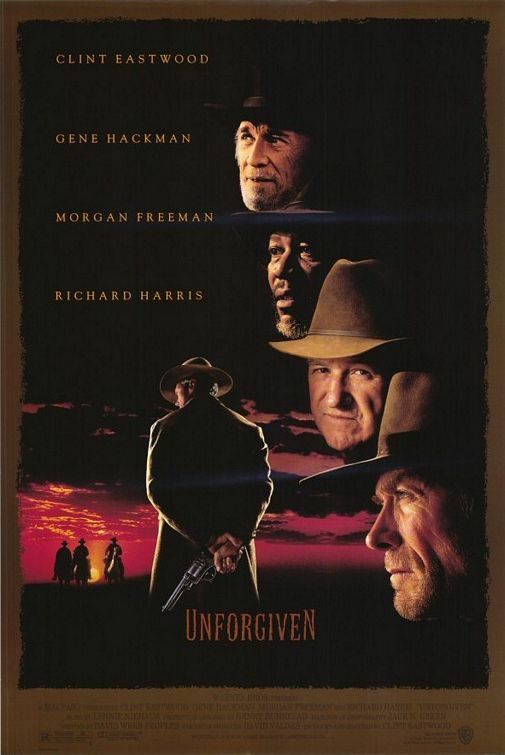 Rather than a Wild West romp, Unforgiven is a dark and melancholy film. Where once Eastwood played a part in romanticising the West, here he shows it for its grim reality. Beautifully shot in Alberta, Canada, and featuring a tremendous cast including Eastwood, Morgan Freeman and Gene Hackman in an Oscar winning performance as sheriff Little Bill. Eastwood dedicated the film to directors Sergio Leone and Don Siegel. 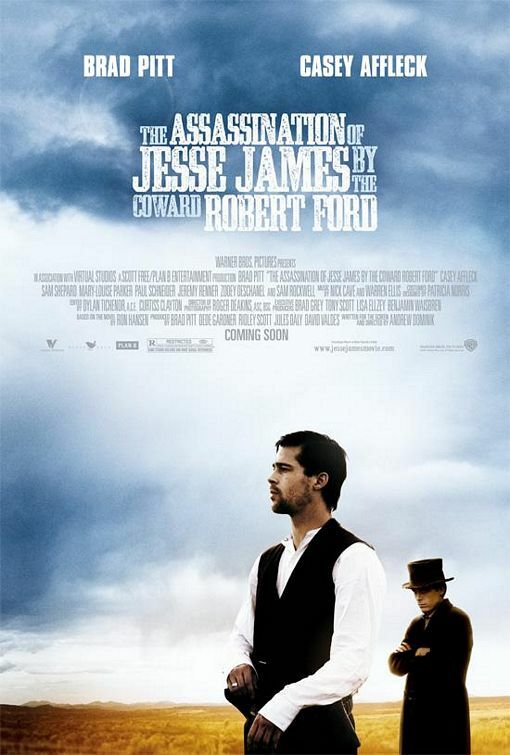 The second feature film from Australian writer-director Andrew Dominik, The Assassination of Jesse James by the Coward Robert Ford is an epic Western with an almost art-film sensibility. The film uses the story of the final chapter of the life of one of the American West’s most iconic characters to show us the active process of the mythologising of the West. The young Robert Ford has grown up on the tales of the legendary exploits of Jesse James, so when he has the opportunity to join the James gang for their last robbery he idolises James. Theirs is a strange relationship built on Ford’s intense devotion, which can really only end one way. While this slow-paced, contemplative film is probably a bit longer than it needs to be, it is beautifully shot by Roger Deakins and features some very interesting performances from Casey Affleck and Brad Pitt. 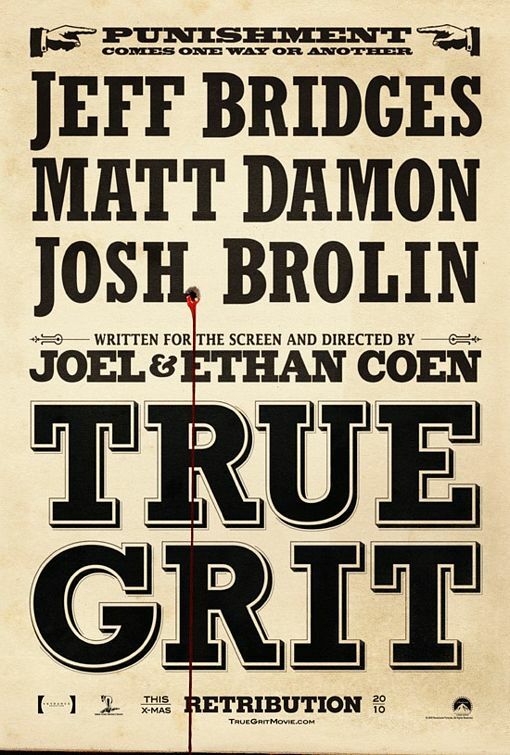 Adapted from Charles Portis’ novel, the story of True Grit has a beautiful simplicity to it which has been missing from the Western in recent decades. Despite this old-fashioned quality, the direction of the Coen brothers and the beautiful cinematography, again from Roger Deakins, gives the film a modern feel and aesthetic. Hailee Steinfeld’s debut performance as Mattie Ross, the young girl who sets out with a hired Marshall to catch her father’s murderer, is simply brilliant with the role being undoubtedly one of the great young female characters. When the story was previously brought to the screen in 1969, John Wayne won his only Oscar for his portrayal of the drunken US Marshall Rooster Cogburn, but rather than simply imitate Wayne’s performance, Jeff Bridges brings his own characterisation to the part. 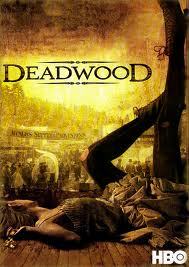 Created by David Milch, for three 12 episode seasons HBO’s gritty series Deadwood was arguably the best show on television and the best single piece of work the Western genre had seen in decades. Set in the 1870s, the show followed the development of the town of Deadwood, annexed from the Dakota Territory, from a basic camp into a thriving, organised, but incredibly uncivilised and corrupt community. Marvellously written, the show’s dialogue was at the same time almost Shakespearean in its poetry and the most horrendously coarse thing you’ll ever hear. Ian McShane’s Al Swearengen, owner of the Gem Saloon and puppet-master over the citizens of Deadwood, was one of the great television characters of that decade. Tragically the show was cut short after three seasons, and while there was talk of two television movies being made to complete the story they never eventuated.